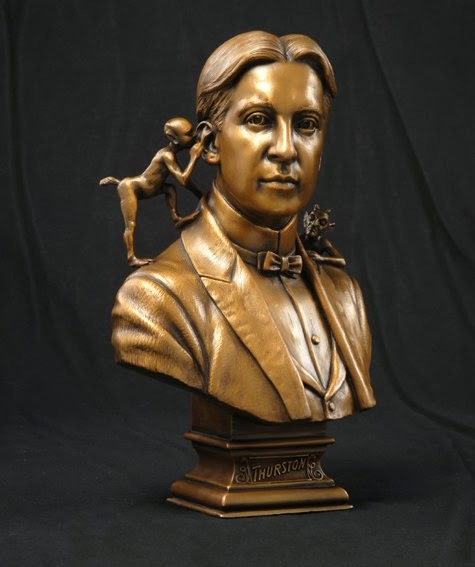 I have posted many statues, sculptures, carvings, figurines and busts of magicians. But now it's time for the finest renditions of them all. Ladies and Gentlemen, I give you 'The Masters of Magic's Golden Age! 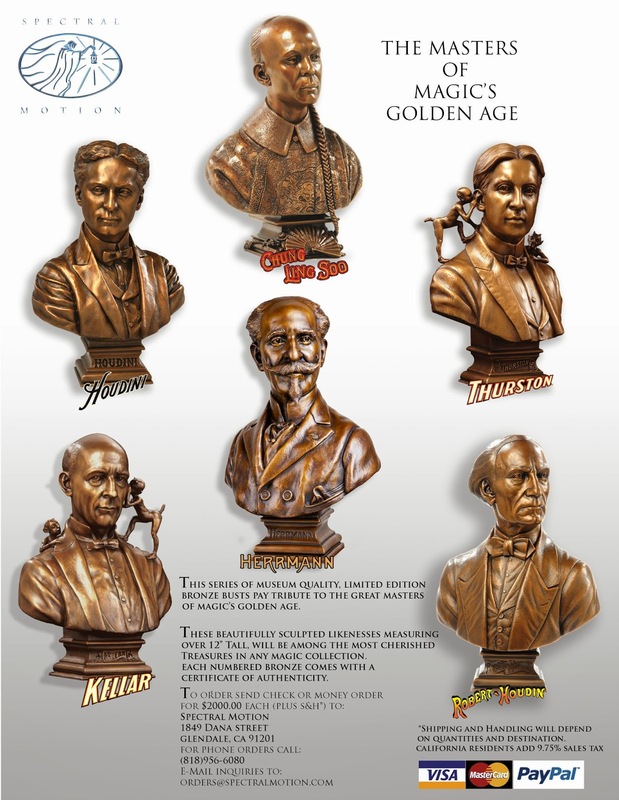 This series of museum quality, limited edition bronze busts are the creation of Mike and Mary Elizalde. 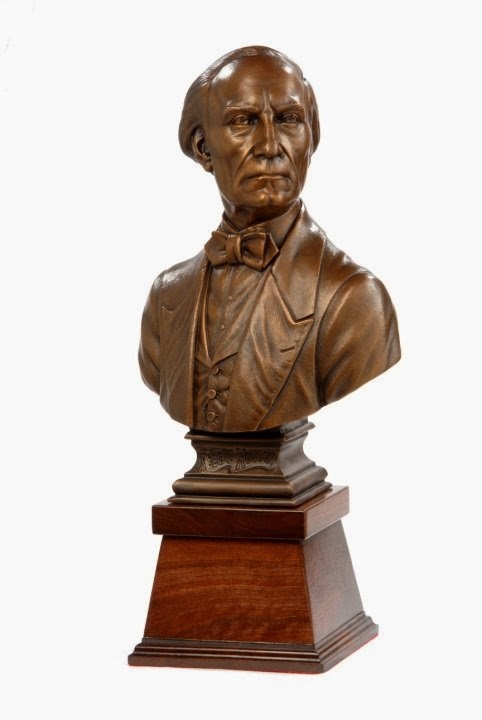 This whole project came about because Mike wanted some museum quality busts for his own magic collection. Mike funded the entire project and they were produced through Spectral Motion, the company that he and his wife own and operate. Spectral Motion is among the world's leading creature and makeup effects studios with over 50 films to its credit. Headed up by Academy Award Nominee Mike Elizalde and his wife Mary, Spectral Motion is known for its astounding cinematic effects and an unblemished record of reliability, believability and superb quality. 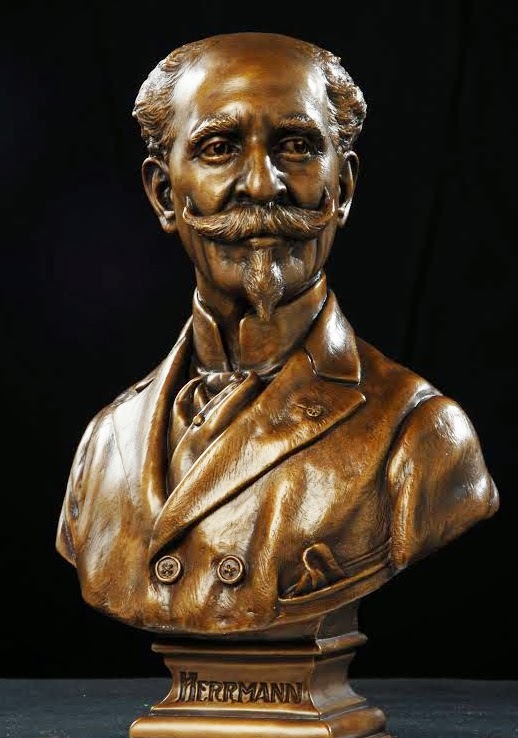 Let's take a closer look at these incredible bronze busts. I'll post them in historical order. Hey, that Herrmann is new to me. I don't believe the Magic Castle has that one in their collection behind the W.C. Fields bar. Would love to see them do a Blackstone and Doug Henning. Two masters I think are deserving. Actually, I think the Herrmann is there now. I saw a video of someone working the W.C. Fields Bar and noticed them in the background. I agree, Blackstone and Henning would be awesome. As would Dante. Oh, yes, Dante of course. That's a must. Greg, You bet! Mark Wilson certainly deserves such an honor! Your Dad is a living legend! Nice to read this article.Thank you so much for sharing this article. 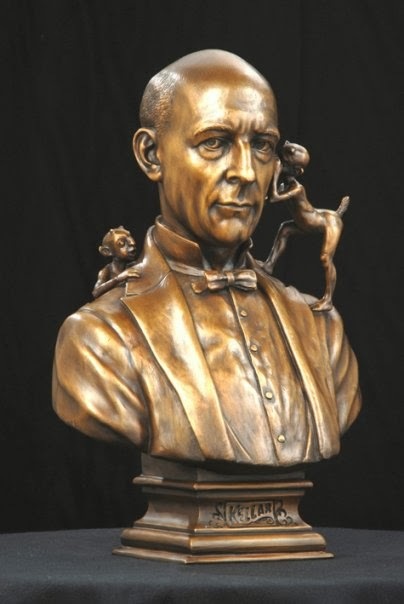 Does anyone know where I could find a Houdini Magician of the Year by David bull bronze statue? 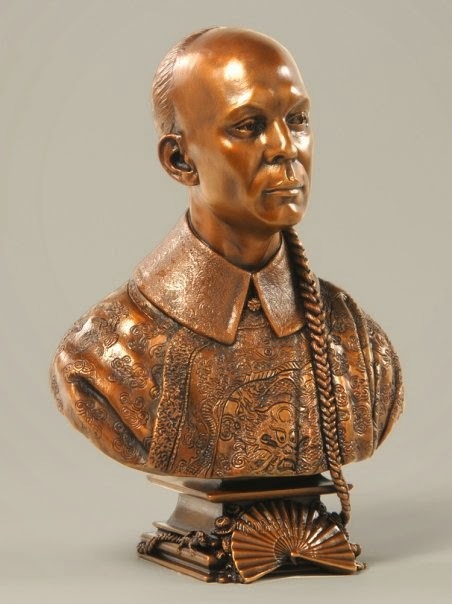 It seems surprising that Chung Ling Soo is recognised as a master of Magic's Golden Age if his act has been reported as mostly derived from Ching Lung Foo's magic.